Therapeutic actions: Silymarin is a hepatoprotector which works by inhibiting the effects of free radicals and turns them into less toxic substances. The clinical effect are manifested by overall improvement of liver condition, pathology improvement and less toxical effects. Contraindications and cautions: The drug must not be used if any hypersensitivity toa ny components of the preparation has been monitored earlier. Can be used in diabetes. Adverse effects: There are possible side-effects associated with this medicine that can affect individuals in different ways. If a side effect is stated here, that does not necessarily mean the fact that all people using Levasil will experience it or any other. Possible allergic reactions may manifest in skin rash, irritation and rarely diarrhea. The side effects listed above may not include all of the side effects reported by the drug´s manufacturer. For more information about any other possible risks associated with Levasil, please read the information provided with Levasil or consult your doctor or pharmacist. Interactions: It is important to tell your doctor or pharmacist what medicines you are already taking, including those bought without a prescription and herbal medicines, before you start treatment with Levasil. Similarly, check with your doctor or pharmacist before taking any new medication while taking this one, to ensure that the combination is safe. 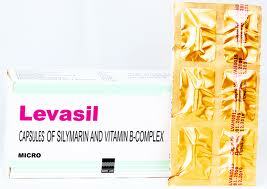 Additional Information: DO NOT SHARE Levasil with others. DO NOT USE THIS MEDICINE for other health conditions. KEEP THIS PRODUCT, as well as syringes and needles, if needed during treatment, out of the reach of children. Do not reuse needles, syringes, or other materials.